Join Us For a Shucking Good Time and this 2nd Annual Affair! Seafood and More Seafood and Lots of Libations. We are very excited to bring the best of the bivalves to you along with some great pit beef and other surprises. We started this event at The Heavy Seas Brewery over a decade ago and now with this new location – The Assembly Room and some new participation from other breweries and distillers….we are prepared to take this event to the next level. Enjoy the world’s best SHUCKERS - shucking just for you, smell the FIRE under the grilled oysters, taste the BRINY flavor of the steamed seafood, watch the action while the symphony of tastes plays on right before your eyes. Heavy Seas will have a full array of beers along with over 30+ other breweries, wineries and distilleries. Plus lots of games and great music on the main stage. Over 20 Live Shuckers shucking 1,000's of All-You-Care-To-Taste Raw Oysters. Over 30 INTERNATIONAL and LOCAL Beers, Wines, and Spirits in an ALL-YOU-CARE-TO-TASTE affair. Last call is at 3:45pm. All-You-Care-To-Taste Steamed & Roasted Oysters, Mussels, and Clams. All-You-Care-To-Taste Baltimore's own Pit Beef from the Meat Department. Cleanse your palate of all seafood and enjoy some great meat dishes! THE ALMOST FAMOUS BLOODY MARY BAR! Featuring all of your favorite toppings - build your own masterpiece! The Wine Grove with wines paired specifically for seafood. Great music on the Main Stage all afternoon. and one very angry mermaid! Access from Noon - 4PM. Admission includes a souvenir glass with Over 30 All-You-Care-To-Taste Beers, Wines & Spirits. 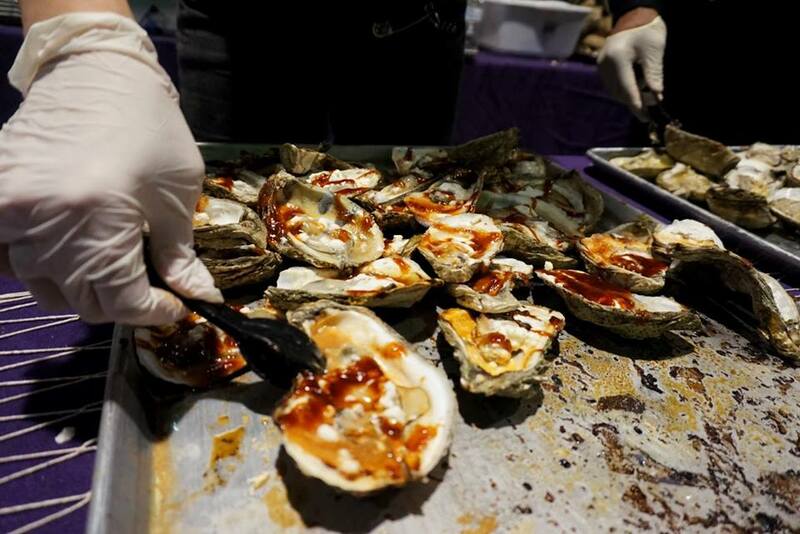 All-You-Care-To-Taste Oysters and other seafood dishes with access to restaurant tasting stations and The Meat Department, Great Music on the Main Stage and some surprises!